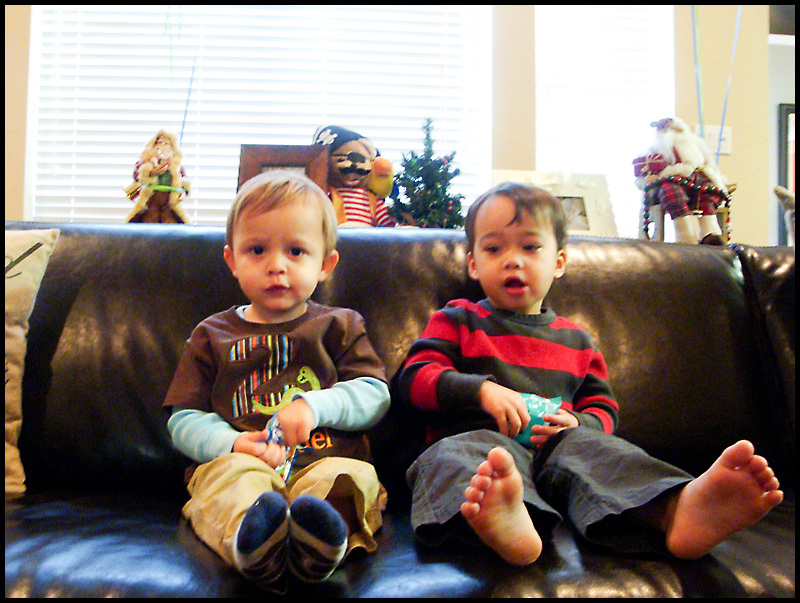 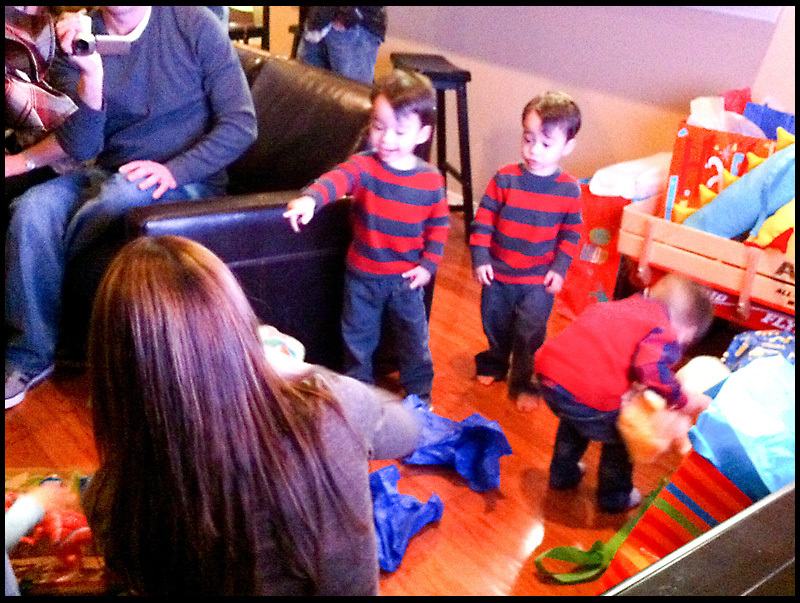 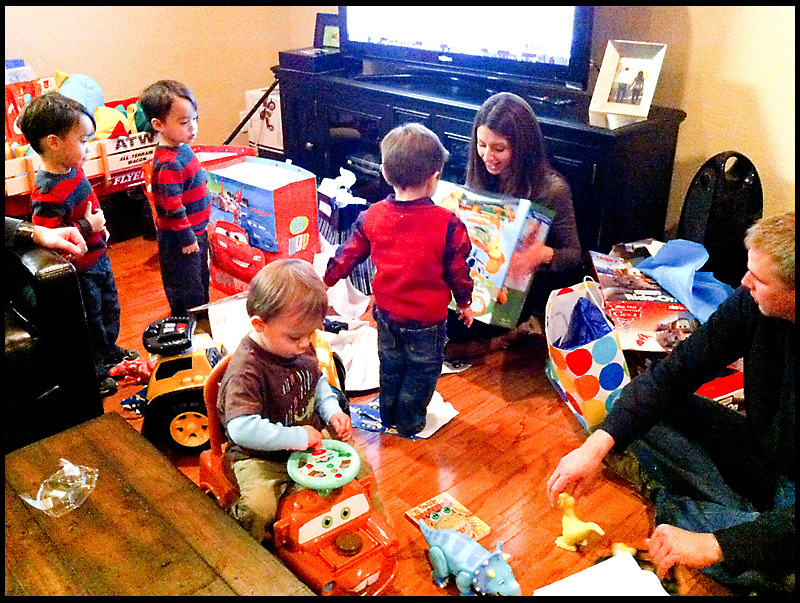 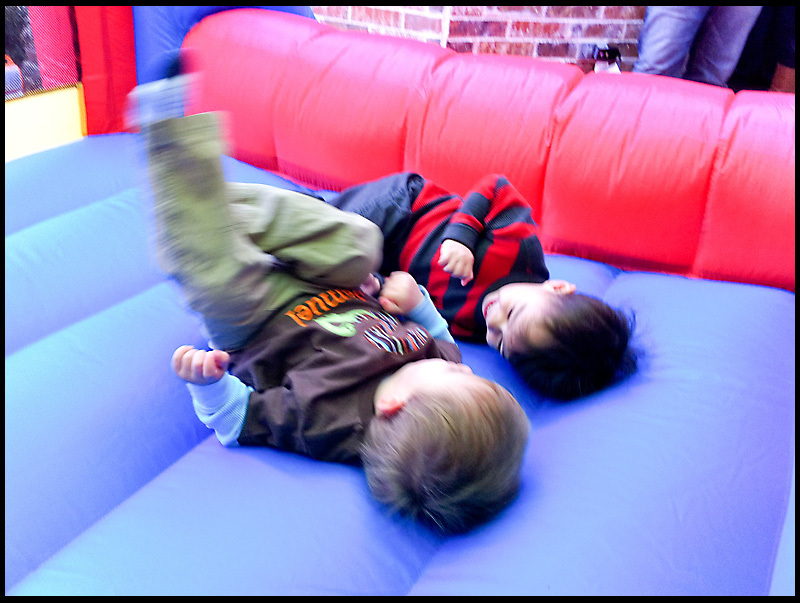 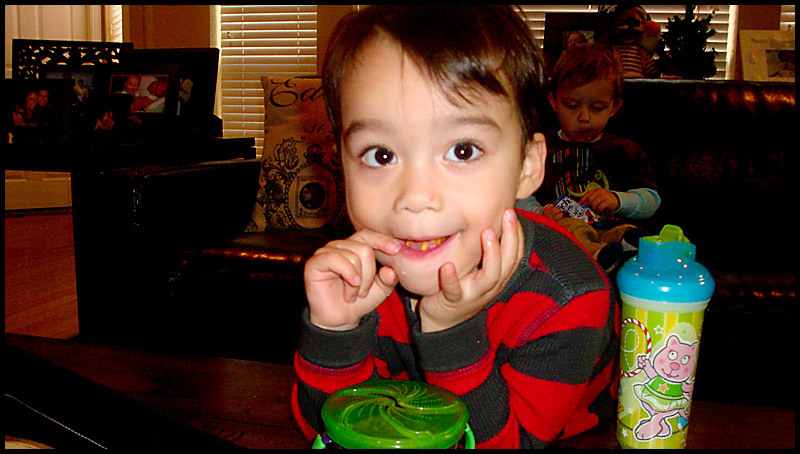 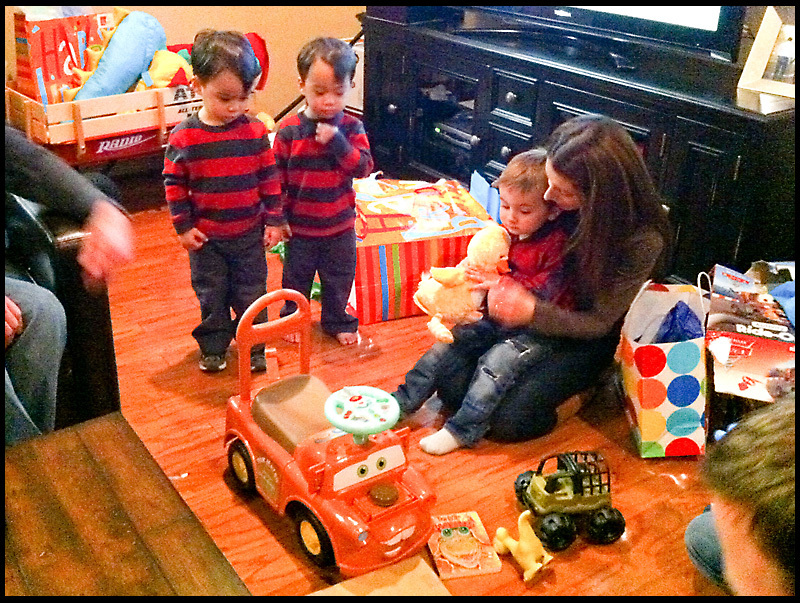 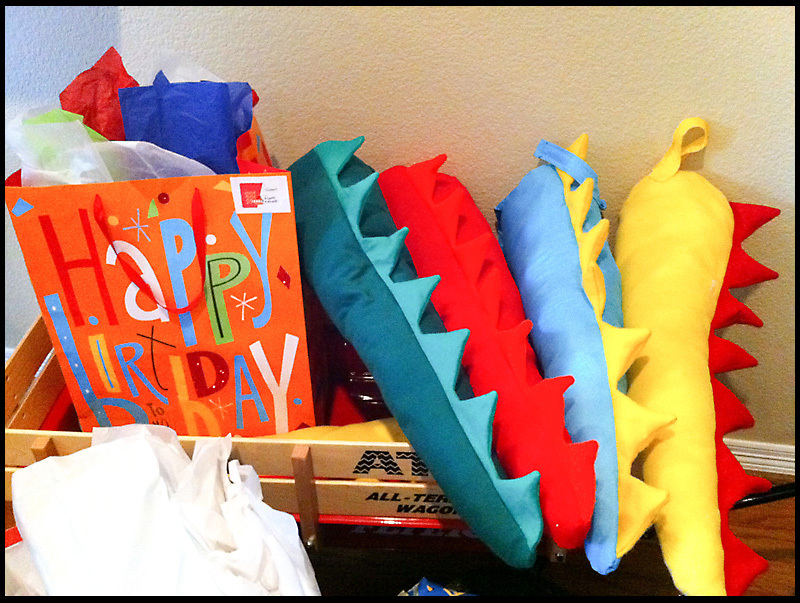 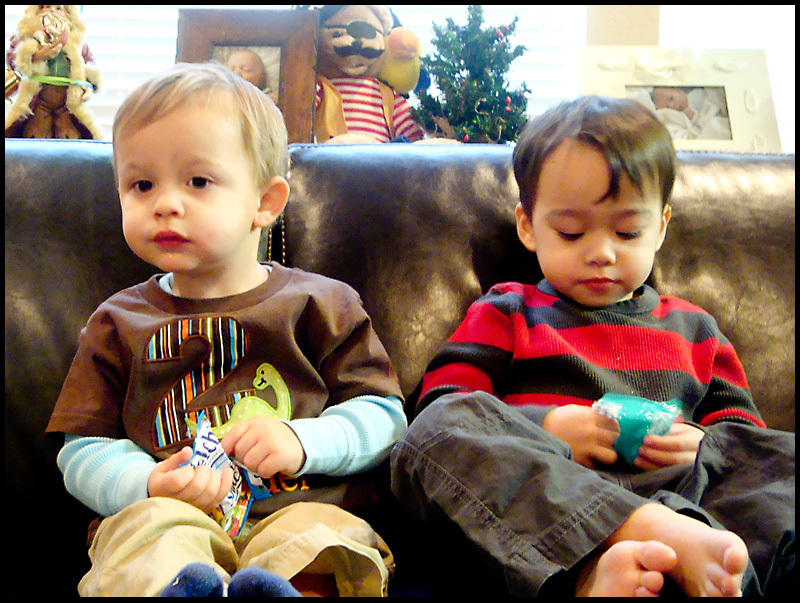 The boys had a great time at their best pal Sam's 2nd birthday party over the holidays! 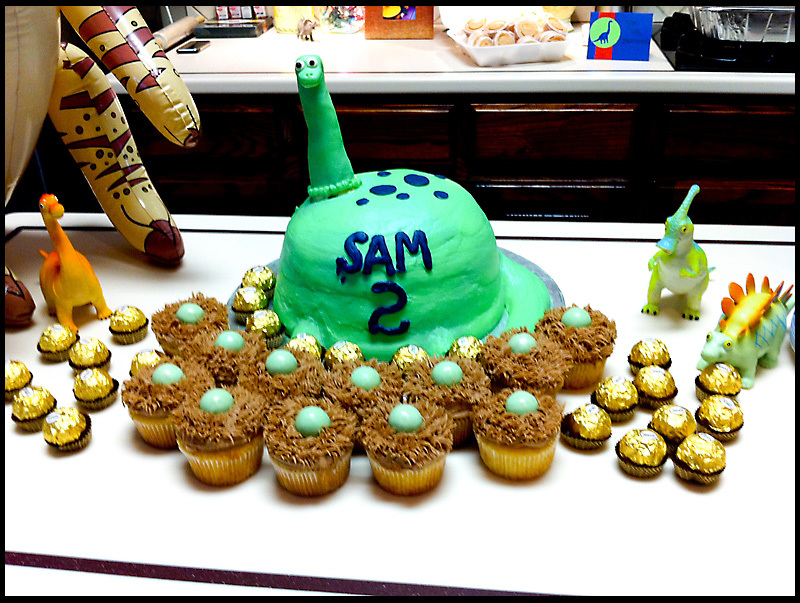 The party had a dinosaur theme... check out the adorable cake and cupcakes! 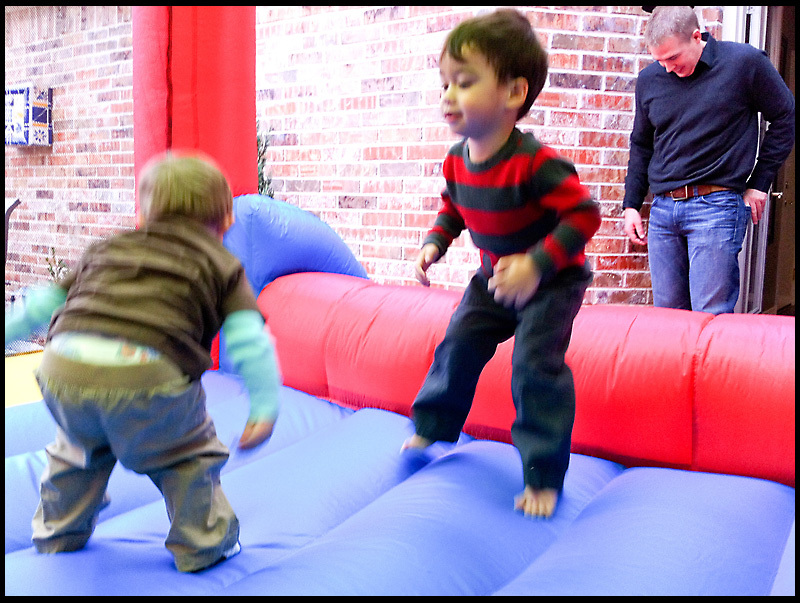 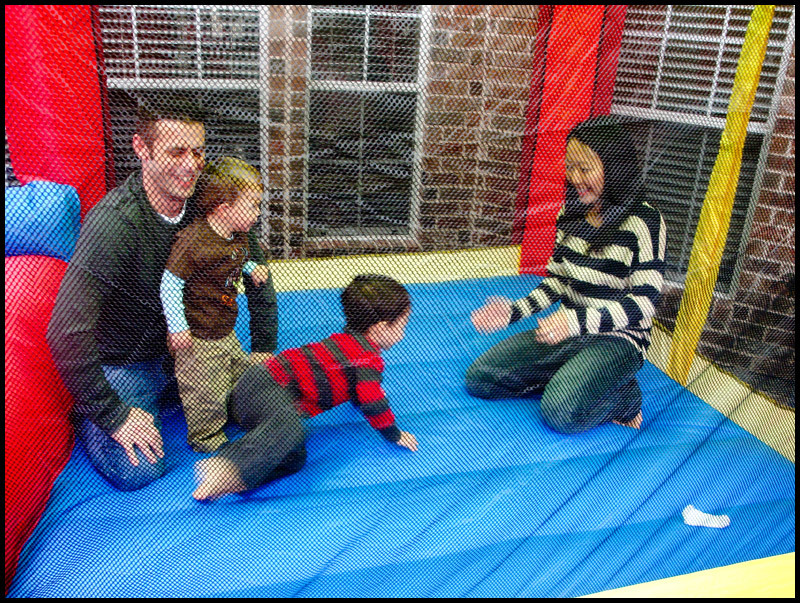 There was also a jump house for the kids (and adults) to enjoy! 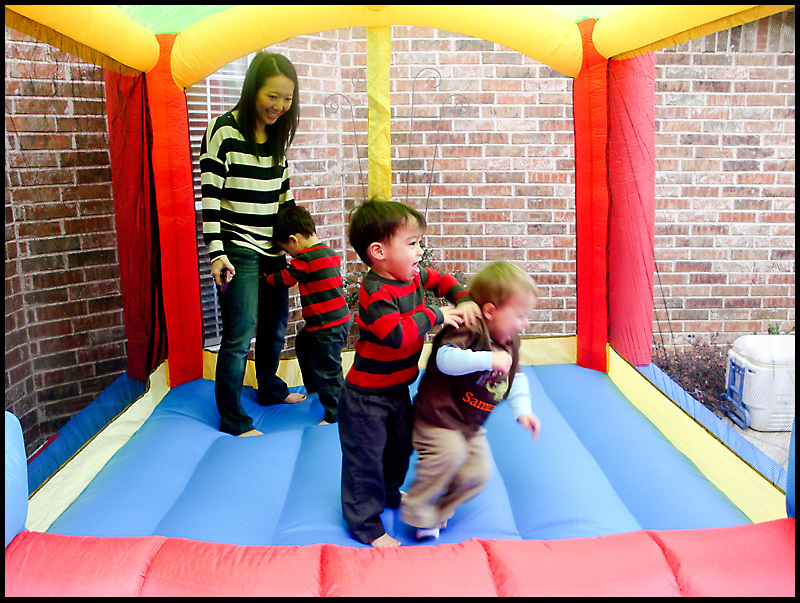 Poor Sam looked like he was being attacked by Ben! 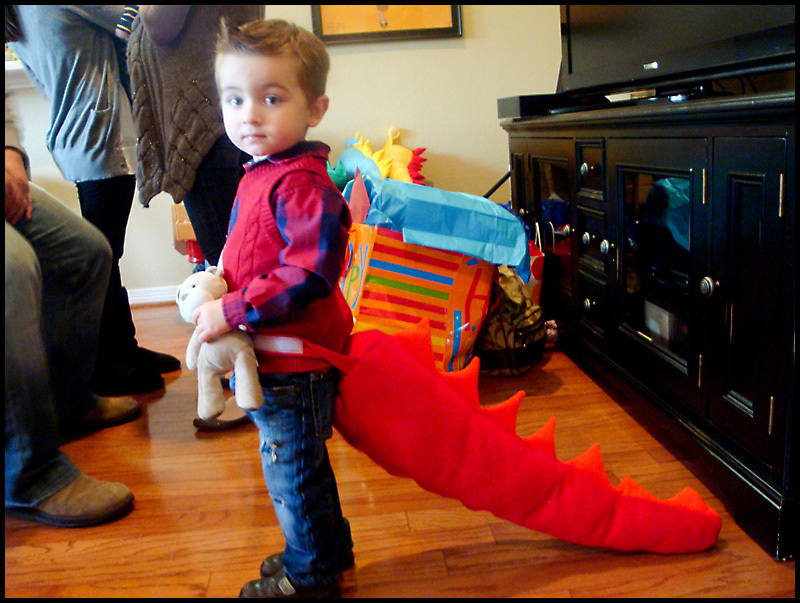 But, only Atley would wear it long enough for a picture! 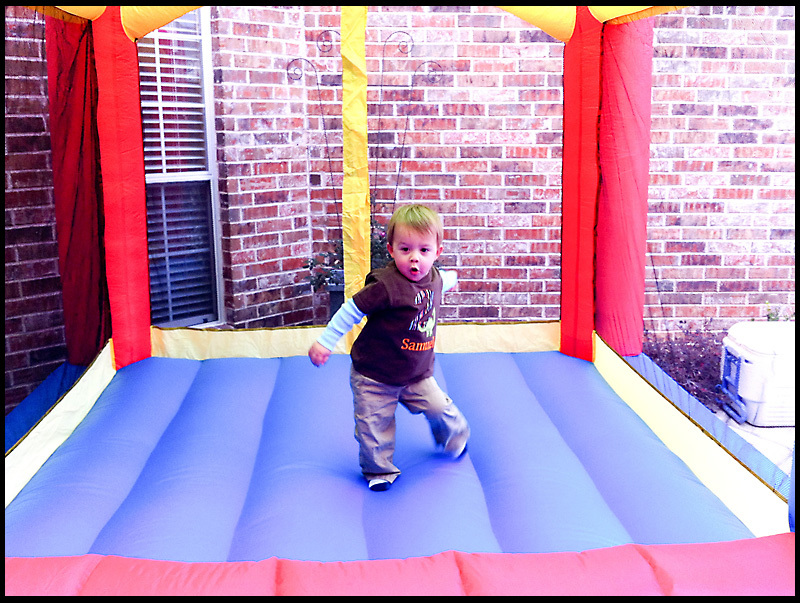 Back to the bounce house! 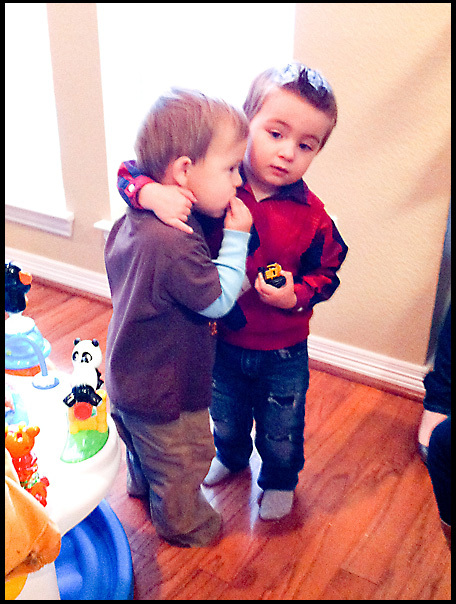 I love this picture of Sam and Ben! 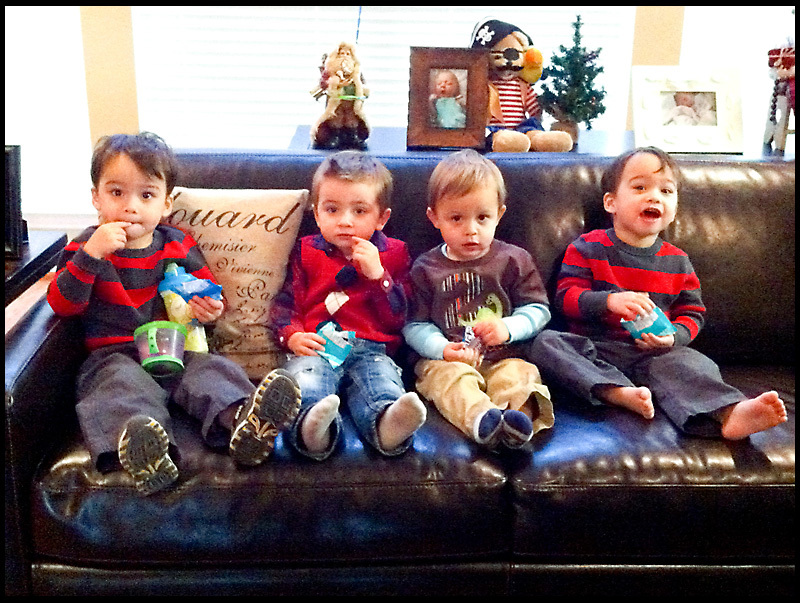 The power of fruit snacks enabled us to get this picture of the four boys together! 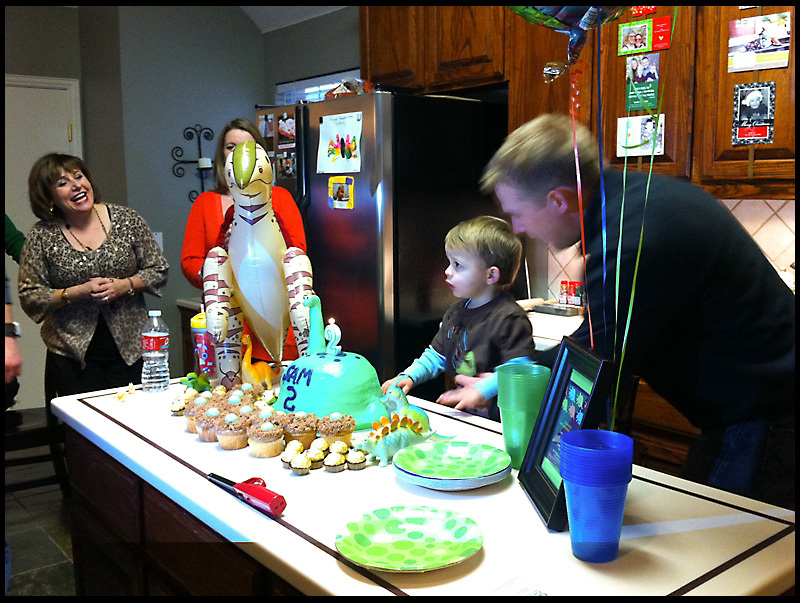 Time to sing happy birthday! 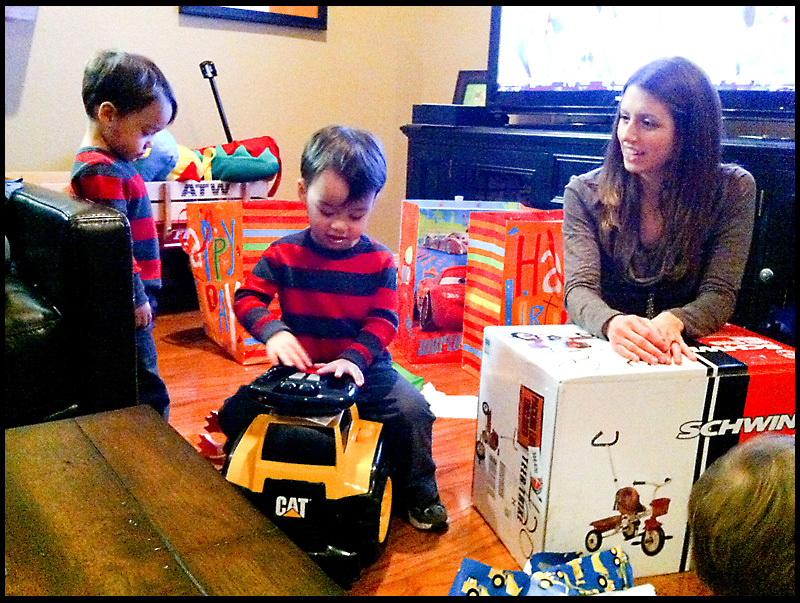 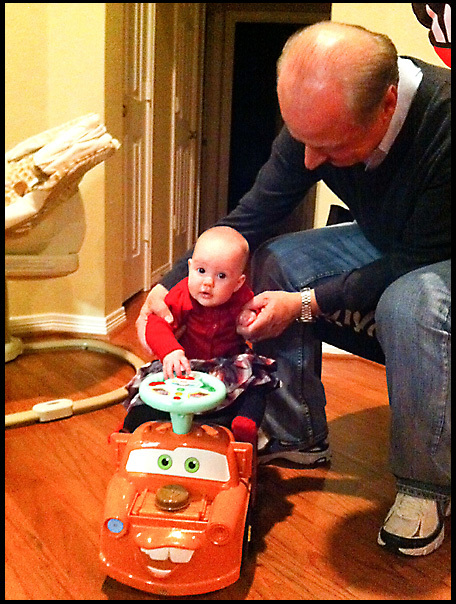 Ben found another car to ride... while his brother watched sadly.